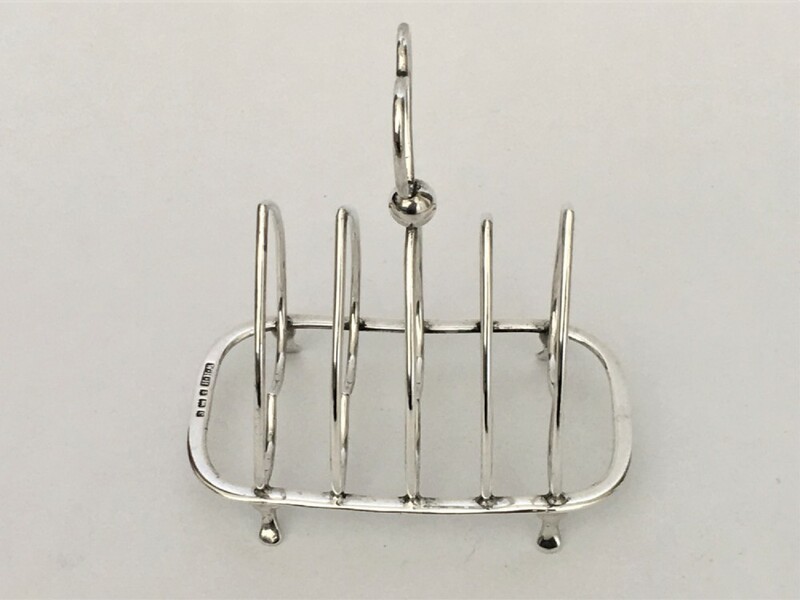 A lovely novelty silver toast rack from the elegant Edwardian era. 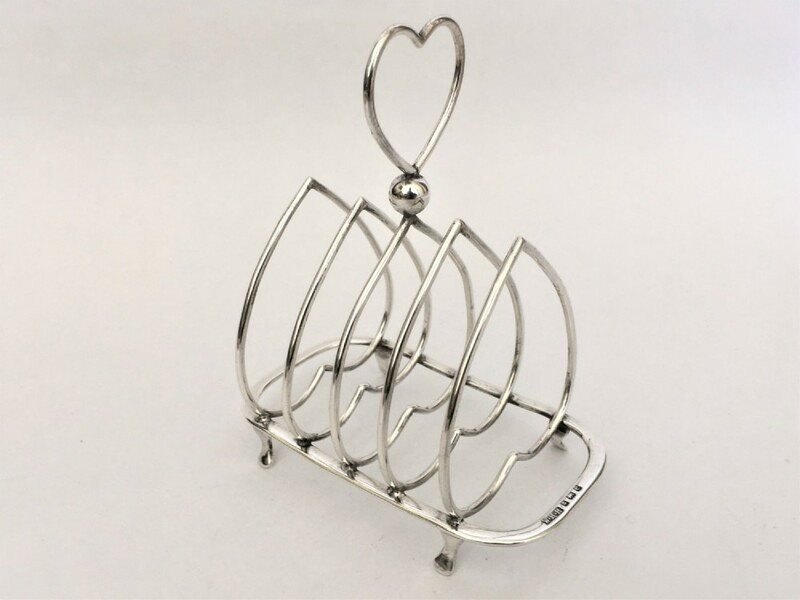 This delightful example is of wirework form and features heart shaped dividers and handle. 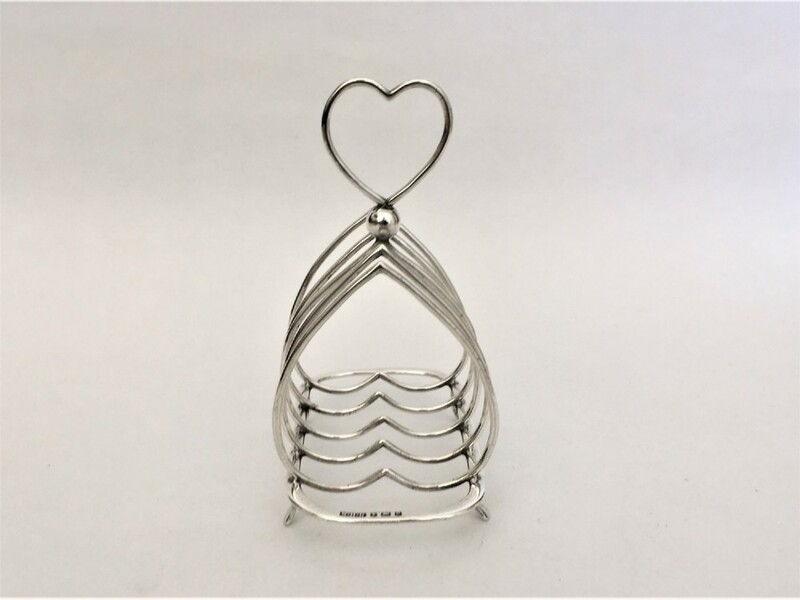 It is a four slice toast rack on four pad feet. An appealing piece, both practical and decorative. Dimensions below. Condition :- Excellent, with no dents or splits. 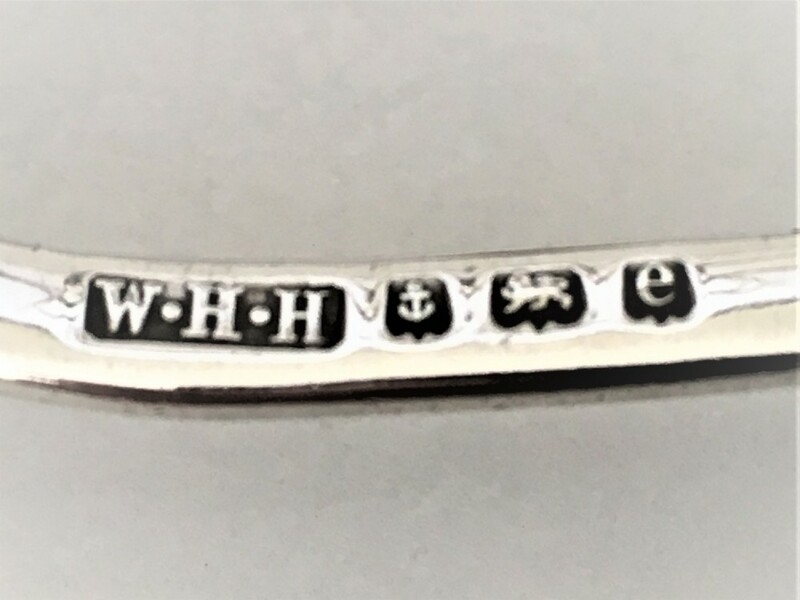 Hallmarks :- Clear and readable. Maker :- W H Haseler. Height :- 11 cms. (to top of handle). 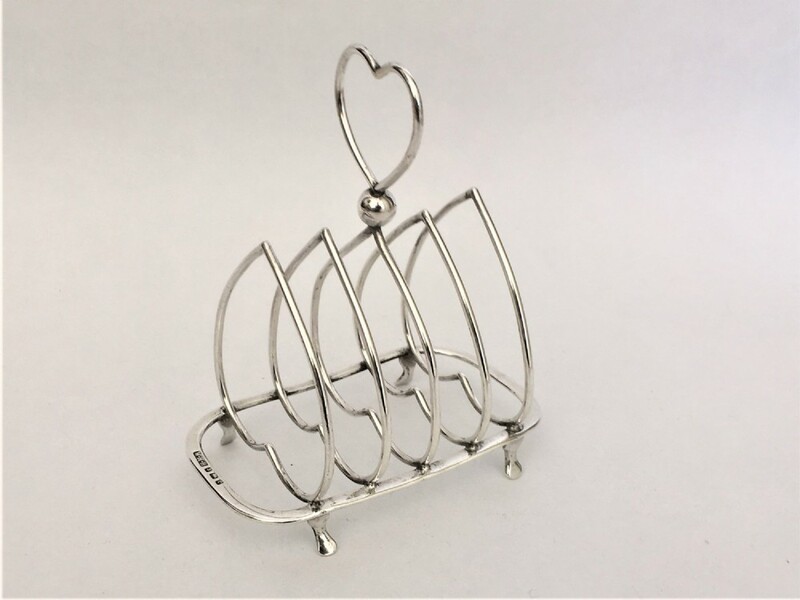 The An Edwardian silver heart toast rack has been added to your saved items.